You Hired the Wrong Salesperson. Now What? Bad hires happen. No matter how rigorous your hiring process is or how high your standards are, a bad apple eventually gets through. And in the world of enterprise sales, where turnover is rampant—34 percent is the annual average—and sales teams are constantly backfilling, speedy hiring processes are often the norm, which only increases the chance of a bad hire slipping through. Worse, replacing a single bad hire can cost nearly a quarter of a million dollars, including sourcing, hiring, and training—along with the lost productivity your team will experience as your new seller ramps up. When bad hires happen, what should you do about it? And how do you minimize the negative impact to your existing team? To find out, we sat down with one of our Emissaries – the Enterprise Sales Director of a large global analytics firm. It takes an average of six to nine months to get an enterprise rep fully onboarded and up-to-speed. So after that onboarding period ends, you should expect to see some production, right? “There’s so much that goes into the sales process, and it’s easy to point the blame at the seller—but before you do, you’ve got to make sure you’ve investigated the underlying factors,” he said. Those factors include lead volume, lead quality, territory size, territory quality, and the length of your average sales cycle. In addition to not giving your rep a fair shot, our exec made the point that giving a seller the axe without communicating what’s expected and when can create a toxic environment with the sales team. “Culture” is a buzzword in business today, and with good reason. 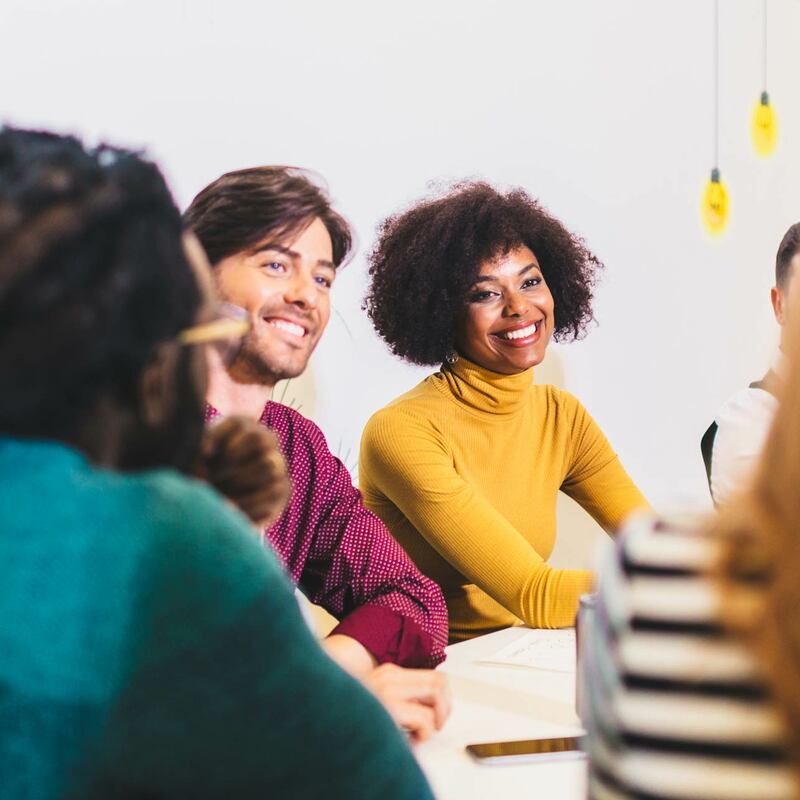 Company culture can be a determining factor in whether employees stay or go, and a full 82 percent of respondents to a Deloitte survey said a strong culture can deliver a competitive advantage. But when it comes to finding—or firing—sellers, our exec urged organizations to take a decidedly measured approach. “Company culture and team culture are very important, but they are rarely the reason for a defensible termination,” he said. That, he noted, is because sales is a slightly different beast than, say, product development. Sales culture often involves celebrating big wins, and that usually involves a drink or seven at your local watering hole after work. There is one area where culture fit should influence a firing decision, however. And finding out if you’ve got a person like that on your squad shouldn’t be difficult. That communication piece, our exec said, is especially key for managing morale after a termination has been made. “If you’ve looked at the lead quality, the pipeline, and all the other factors, and you’ve determined this person really isn’t getting the job done, you need to explain that to your team immediately,” he said. He stressed the value of getting your team in a room and explaining what went down—and why. “It’s all about standards. When you have benchmarks and milestones in place, you can provide objective reasons for putting someone on a plan or eventually letting him or her go,” he said. But he also noted that many sales teams today—even at the enterprise level—lack these fundamental metrics. That, he said, led the team to be permanently looking over their shoulders, wondering who would be next. If, on the other hand, there had been clear expectations in place and those expectations had been communicated to the team, none of that would have been necessary. Once you replace your bad hire, you’ve got to get them up to speed as quickly as possible. Unfortunately, our exec said, too few sales teams have formal, realistic training programs in place. This usually involves shadowing other sellers’ calls, learning from product teams, and practicing on low-level leads—all in a very unstructured, haphazard way. All too often, in other words, sterling interview and hiring processes are followed by lackluster training programs, leading to slow ramp-ups and low initial productivity. To our exec’s point, this leads to hiring remorse—but in reality, dumping your new seller into the deep end doesn’t set him or her up for success. In fact, most companies today spend up to $15,000 in hiring costs on a new seller, but just $2,000 on training. To enable your latest hire to survive and thrive, you’ll need a structured training program with clear milestones along the way. Of course, every ramp period will vary depending on your product and your prospects’ sales cycles—but it’s up to you to document this knowledge via a clear, understandable, and repeatable training plan. Since sales training is such a huge topic, we’ll explore it in depth in a subsequent post, but HubSpot offers a solid overview of how to build a training framework here. The most important thing is not expecting your sellers to undergo a self-driven training regimen—as far too many SaaS firms today do. Instead, institute a structured approach with clear expectations and milestones every step of the way. With high turnover, speedy hiring processes, and aggressive ramp times, enterprise sales teams are almost guaranteed to occasionally hire sellers who just don’t cut it. That’s a given. What isn’t a given is how—and when—sales leaders identify underperformers, communicate expectations, and implement robust training programs. By having as much insight into where sellers fail and providing training frameworks that solve as many of those problems as possible, sales leaders can not only gain more control over new sellers’ performance, but empower them to deliver more value to the enterprise. Hiring will always be a gamble, sure, but savvy sales execs have a number of weapons in their arsenals to make the odds a lot more favorable.